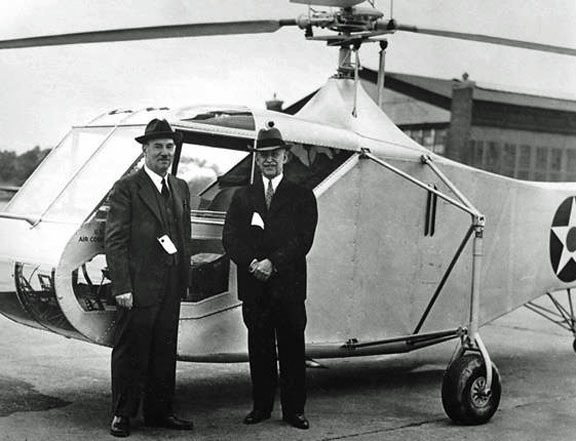 17 April 1941: Igor Sikorsky’s Vought-Sikorsky VS-300 helicopter went through various rotor configurations during development as he searched for a combination that would give stability, anti-torque control, as well as lateral and yaw control. 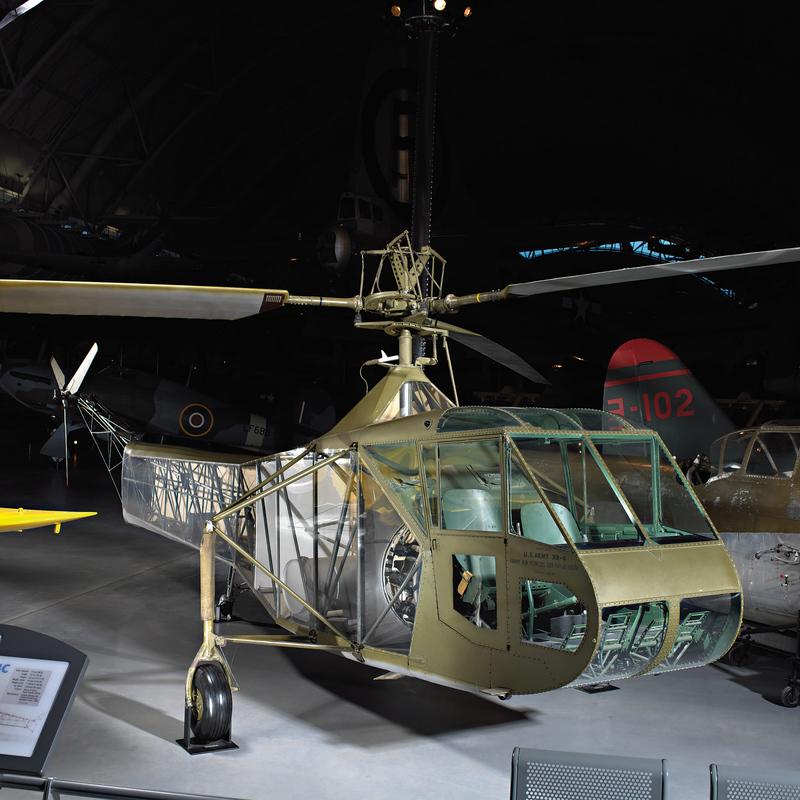 By April 1941, the VS-300 was configured with a single main rotor for lift and three smaller tail rotors to provide anti-torque and directional control. 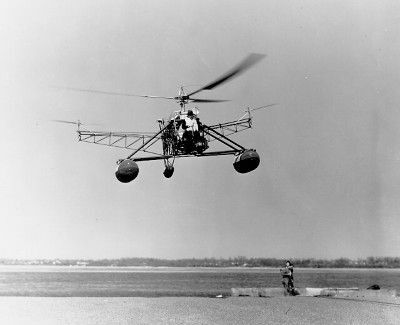 The VS-300 had a welded tubular steel airframe and used a 28-foot (5.34 meters) diameter, fully-articulated, three-bladed main rotor, which turned clockwise (as seen from above) at 260 r.p.m. (The advancing blade was on the left. This would later be reversed.) 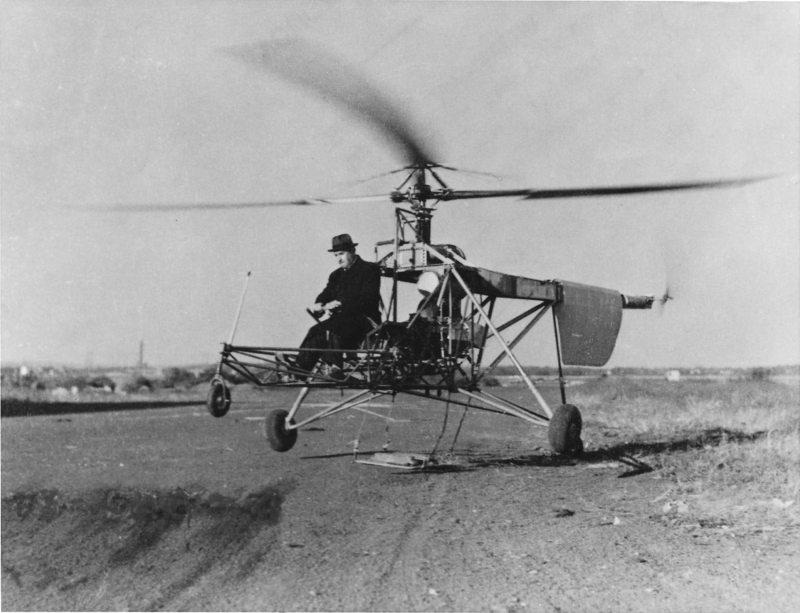 The main rotor had collective pitch control for vertical control, but cyclic pitch (Sikorsky referred to this as “sectional control”) for directional control would not be developed for another several months. The tail “propellers” (what we now consider to be rotors—one vertical and two horizontal) each had two blades with a diameter of 7 feet, 8 inches (2.337 meters) and turned approximately 1,300 r.p.m. The vertical rotor provided “torque compensation” (anti-torque) and the blade pitch was fully reversible. 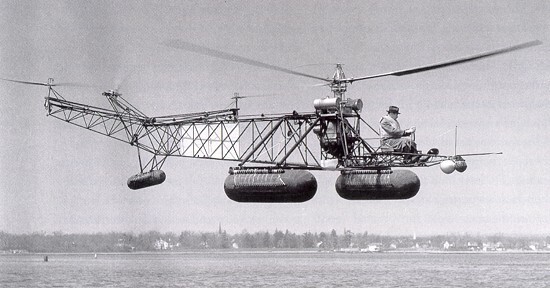 The horizontal rotors were mounted on 10-foot (3.048 meters) outriggers at the aft end of the fuselage. For lateral control, the pitch on one rotor was increased and the other decreased. For longitudinal control, the pitch of both rotors was increased or decreased together. The VS-300 was originally equipped with an air-cooled, normally-aspirated 144.489-cubic-inch-displacement (2.368 liter) Lycoming O-145C-3 four-cylinder horizontally-opposed engine which was rated at 75 horsepower at 3,100 r.p.m. According to Mr. Sikorsky, “early in 1941,” the Lycoming engine was replaced by an air-cooled, normally-aspirated 198.608 cubic inch (3.255 liter) Franklin 4AC-199-E, a four-cylinder horizontally-opposed overhead valve (OHV) direct-drive engine with a compression ratio of 7:1, rated at 90 horsepower at 2,500 r.p.m. It is not known if this change was made prior to 17 April. 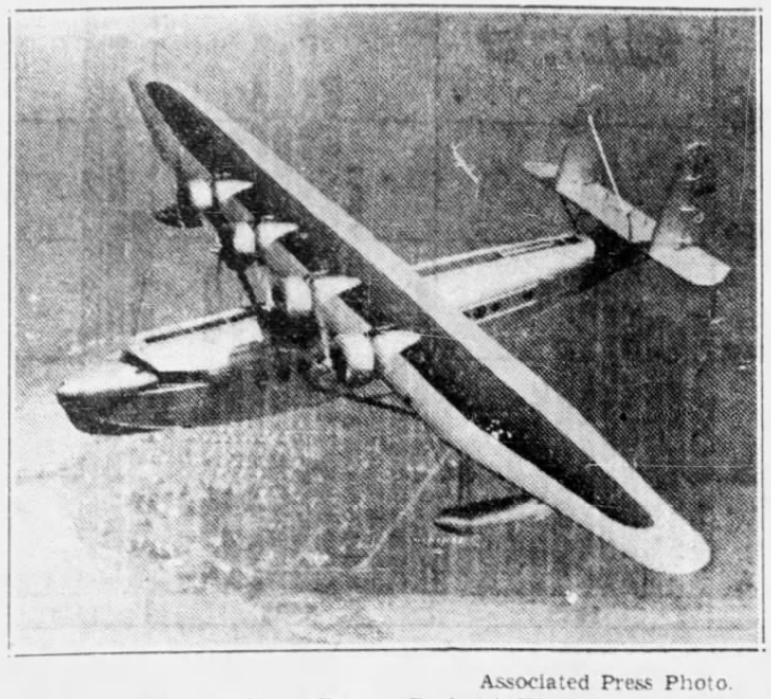 30 March 1934: At Bridgeport, Connecticut, Sikorsky Aircraft Company test pilot Boris Vasilievich Sergievsky made the first flight of the prototype Sikorsky S-42, a large, four-engine flying boat which had been designed for long range passenger and cargo flights. In discussions with Igor Sikorsky, Charles A. Lindbergh, acting as technical advisor to Pan American Airways System, the two aviation icons established the specifications for a new flying boat. The new airplane would be a significant improvement over Sikorky’s previous S-40. Bridgeport. March 30.—(AP)—America’s greatest passenger plane, the S-42, destined for the South American service, took to the air for the first time and passed two test flights with flying colors. Once for 10 minutes, and again for a longer period, the giant flying boat hovered over Long Island Sound and its shore. 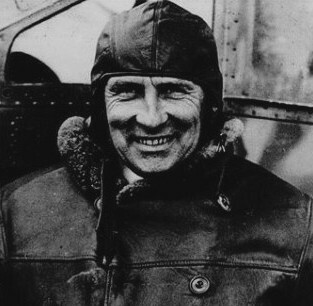 Captain Boris Sergievsky, accompanied only by a lone mechanic, was at the controls. “Congratulations, sir,” Igor Sikorsky, designer of the plane, hailed the pilot as he came ashore after the flights. 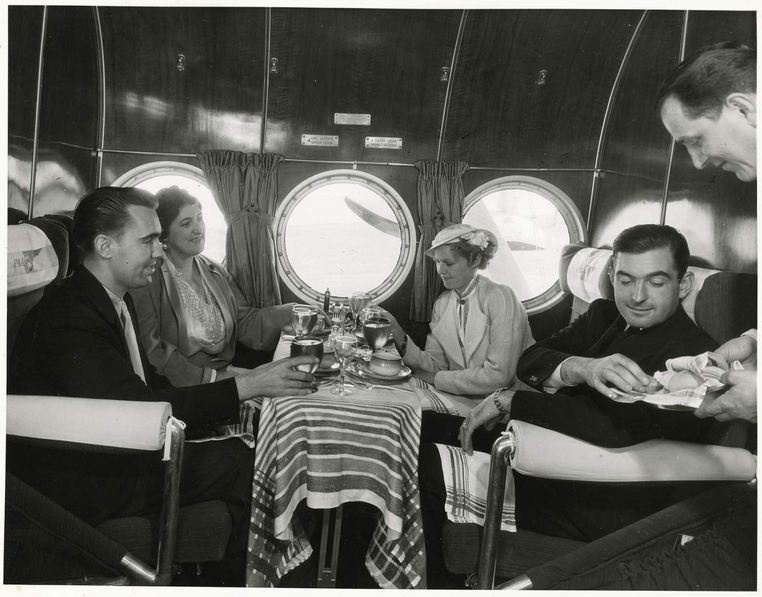 The ship, built for Pan American Airways on specifications by Colonel Charles A. Lindbergh, technical advisor for the line, is the first of six such planes to be completed for Pan American. Powered with four engines, it is 76 feet long, has a span of 114 feet 2 inches, and a gross weight of 38,000 pounds. It will be fitted with 32 passenger seats, and will have a non-stop range of 1200 miles with a full complement of passengers, five members of the crew and 1000 pounds of mail. 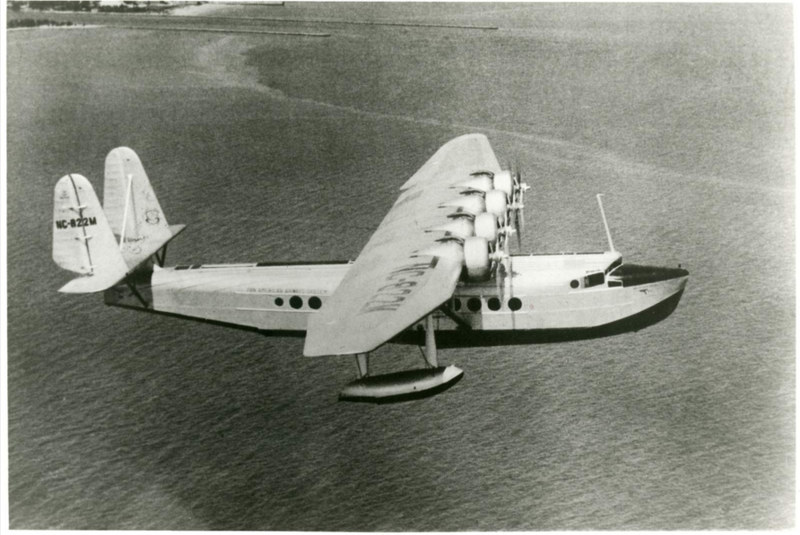 The Sikorsky S-42 was a four-engine long-range flying boat built for Pan American Airways by the Vought-Sikorsky Aircraft Division of United Technologies at Stratford, Connecticut. It was 67 feet, 8 inches (20.625 meters) long with a wingspan of 114 feet, 2 inches (34.798 meters). The S-42 had an empty weight of 18,236 pounds (8,272 kilograms) and gross weight of 38,000 pounds (17,237 kilograms). It could carry up to 37 passengers. 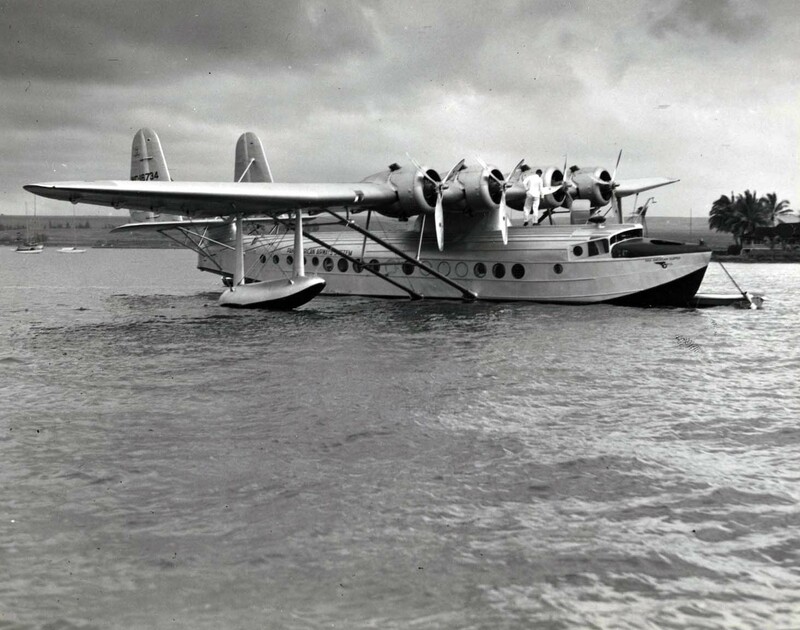 A Pan American Airways Sikorsky S-42. 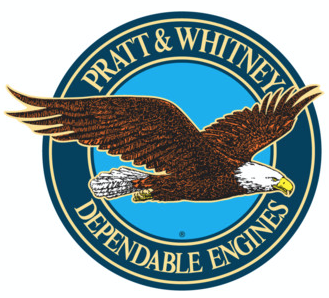 The S-42 was powered by four air-cooled, supercharged, 1,690.537-cubic-inch-displacement (27.703 liters) Pratt & Whitney Hornet S1E-G nine-cylinder radial engines with a compression ratio of 6.5:1. The S1E-G had a Normal Power rating of 750 horsepower at 2,250 r.p.m., to 7,000 feet (2,134 meters), and 875 horsepower at 2,300 r.p.m., for Takeoff. The engines drove three-bladed Hamilton Standard constant-speed propellers through a 3:2 gear reduction. The S1E-G was 4 feet, 1.38 inches (1.254 meters) long, 4 feet, 6.44 inches (1.383 meters) in diameter, and weighed 1,064 pounds (483 kilograms). The S-42 had a cruise speed 165 miles per hour (266 kilometers per hour) and maximum speed of 188 miles per hour (303 kilometers per hour) at 5,000 feet (1,524 meters). The service ceiling was 16,000 feet (4,877 meters). It could maintain 7,500 feet (2,286 meters) with three engines. Its range was 1,930 miles (3,106 kilometers). 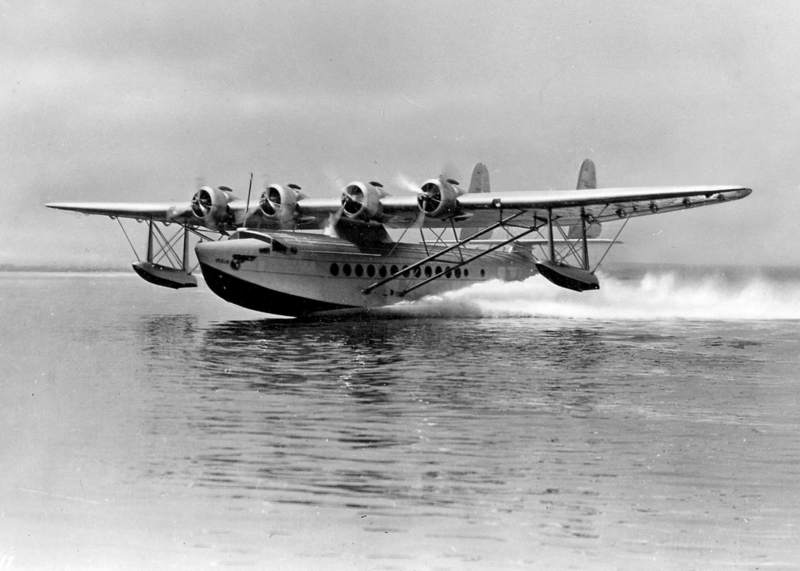 Ten Sikorsky S-42, S-42A and S-42B flying boats were built for Pan Am. None remain in existence. ¹ 26 April 1934 FAI Record File Numbers: 11583: Greatest load to 2,000 meters (6,562 feet): 7,533 kilograms (16,652 pounds). 17 May 1934: 11582 and 11978: Altitude with a 5,000 Kilogram (11,023 pounds) Load, 6,220 meters (20,407 feet). ² 1 April 1934 FAI Record File Numbers: 11517: Speed over a closed circuit of 1,000 Kilometers (621.3 statute miles), 253,60 km/h (157.58 m.p.h. ); 11518: . . . with a 500 Kilogram (1,102 pounds) Payload, 253,60 km/h (157.58 m.p.h. ); 11519: . . . with a 1,000 Kilogram (2,205 pounds) Payload, 253,60 km/h (157.58 m.p.h. ); 11520: . . . with a 2,000 kilogram (4,409 pounds) Payload, 253,60 km/h (157.58 m.p.h. ); 11521: Speed over a closed circuit of 2,000 Kilometers (1,242.7 statute miles), 253,18 km/h (157.32 m.p.h); 11522: . . . with a 500 Kilogram Payload, 253,18 km/h (157.32 m.p.h. ); 11523: . . . with a 1,000 Kilogram Payload, 253,18 km/h (157.32 m.p.h. ); 11524: . . . with a 2,000 Kilogram Payload, 253,18 km/h (157.32 m.p.h.). 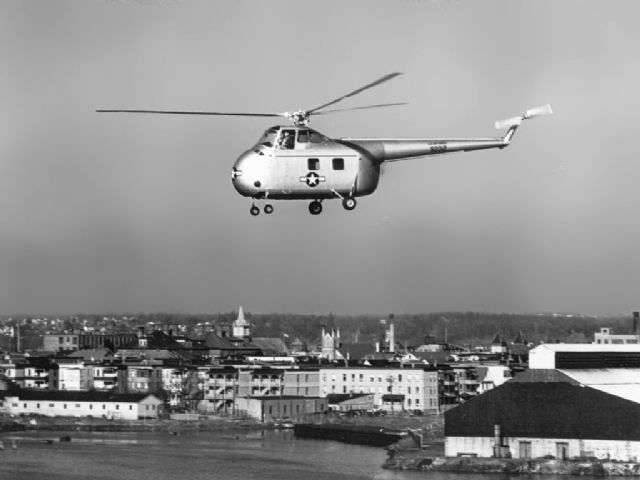 10 November 1949: At Bloomfield, Connecticut, Dimitry D. (“Jimmy”) Viner, a nephew of Igor Sikorsky and chief test pilot for the Sikorsky Aircraft Corporation, made the first flight of the prototype Sikorsky S-55 helicopter, serial number 55-001, which the U.S. Air Force had designated YH-19 and assigned serial number 49-2012. 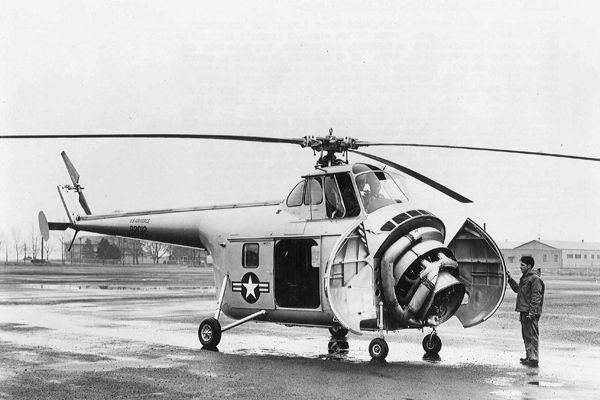 Five YH-19 service test aircraft were built. Two were sent to Korea for evaluation in combat. As a result, the United States Air Force placed an initial order for 50 H-19A Chickasaw helicopters. (It is customary for U.S. Air Force and U.S. Army helicopters to be named after Native American individuals or tribes, though there are exceptions.) This was quickly followed by orders for 264 H-19B helicopters. The United States Navy ordered 118 S-55s which were designated HO4S-1 and HO4S-3. The U.S. Coast Guard bought 30 HO4S-1G and HO4S-3Gs configured for rescue operations. The U.S. Marine Corps purchased 244 HRS-1, HRS-2 and HRS-3 helicopters. The U.S. Army ordered 353 H-19C and H-19D Chickasaw utility transports. 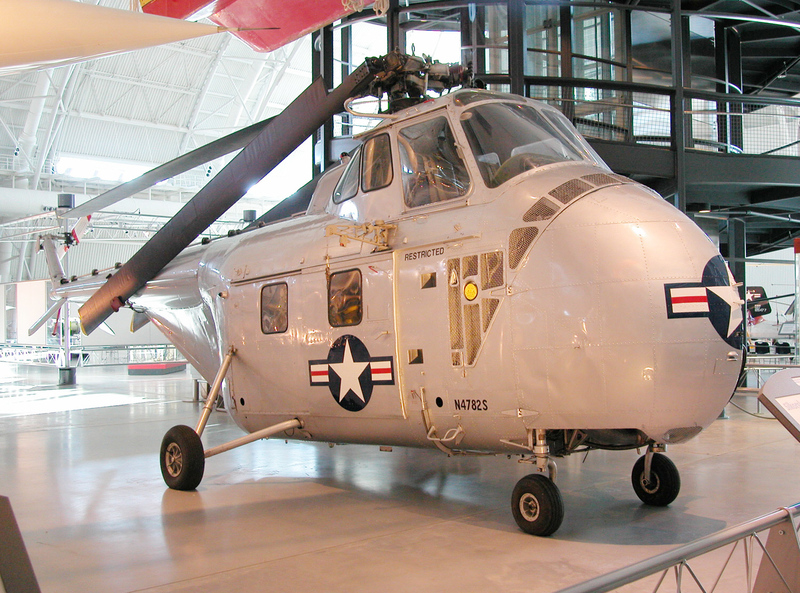 The remaining 216 Sikorsky-built helicopters were S-55, S-55C and S-55D commercial models. The S-55 was flown by two pilots in a cockpit placed above the passenger/cargo compartment. The most significant design feature was moving the engine from directly under the main rotor mast to a position at the front of the helicopter. Installed at an angle, the engine turned a drive shaft to the main transmission. The engine placement provided space for a large passenger/cargo compartment. The aircraft was constructed primarily of aluminum and magnesium, with all-metal main and tail rotor blades. The helicopter’s fuselage was 42 feet, 2 inches (12.852 meters). The main rotor had a diameter of 53 feet, 0 inches (16.154 meters) and tail rotor diameter was 8 feet, 8 inches (2.642 meters), giving the helicopter an overall length with all blades turning of 62 feet, 2 inches (18.948 meters). It was 13 feet, 4 inches (4.064 meters) high. The landing gear tread was 11 feet (3.353 meters). The S-55 had an empty weight of 4,785 pounds (2,173 kilograms) and maximum takeoff weight of 7,200 pounds (3,271 kilograms). Fuel capacity was 185 gallons (698 liters). The YH-19 was powered by an air-cooled, supercharged 1,343.804-cubic-inch-displacement (22.021 liter) Pratt & Whitney R-1340-57 (Wasp S1H2) 9-cylinder radial engine mounted at a 35° angle in the fuselage forward of the crew compartment. This was a direct-drive engine which had a Normal Power rating of 550 horsepower at 2,200 r.p.m. to 8,000 feet (2,438 meters), and 600 horsepower at 2,250 r.p.m. for Take Off. Later production S-55 commercial and H-19/HO4S and HRS military helicopters used an air-cooled, supercharged 1,301.868-cubic-inch (21.334 liter) Wright Aeronautical Division 871C7BA1 Cyclone 7 (R-1300-3) 7-cylinder radial engine with a compression ratio of 6.2:1. The R-1300-3 was also a direct-drive engine, but was rated at 700 horsepower at 2,400 r.p.m., Normal Power, and 800 horsepower at 2,600 r.p.m. for Take-Off. Both engines incorporated a large cooling fan to circulate air around the cylinders. The R-1300-3 was 49.68 inches (1.261 meters) long, 50.45 inches (1.281 meters) in diameter, and weighed 1,080 pounds (490 kilograms). The S-55 had a maximum speed of 95 knots (109 miles per hour, 176 kilometers per hour) at Sea Level. The helicopter’s hover ceiling in ground effect (HIGE) was 7,875 feet (2,400 meters) and out of ground effect (HOGE) is 4,430 feet (1,350 meters). The service ceiling was 11,400 feet (3,475 meters) and range was 405 miles (652 kilometers). Sikorsky Aircraft Corporation built 1,281 S-55-series helicopters. Another 477 were built under license by Westland Aircraft Ltd., Société Nationale des Constructions Aéronautiques du Sud-Est (SNCASE) and Mitsubishi Heavy Industries. 49-1012 is in the collection of the Smithsonian Institution National Air and Space Museum. Дмитро Дмитрович Вінер (Dimitry Dimitry Viner) was born in Kiev, Ukraine, Imperial Russia, 2 October 1908. He was the son of Dimitry Nicholas Weiner and Helen Ivan Sikorsky Weiner, a teacher, and the sister of Igor Ivanovich Sikorsky. At the age of 15 years, Viner, along with his mother and younger sister, Galina, sailed from Libau, Latvia, aboard the Baltic-American Line passenger steamer S.S. Latvia, arriving at New York City, 23 February 1923. 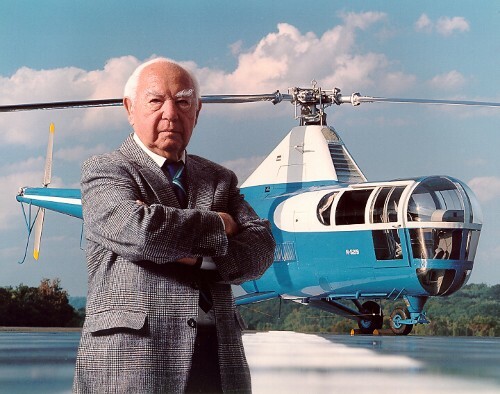 “Jimmy” Viner quickly went to work for the Sikorsky Aero Engineering Company, founded by his uncle, Igor Sikorsky. 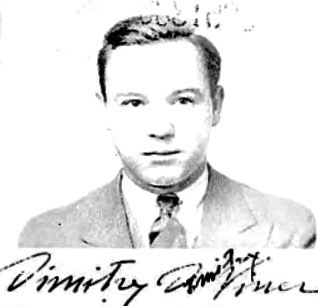 Dimitry Viner became a naturalized United States citizen on 27 March 1931. Viner married Miss Irene Regina Burnett. The had a son, Nicholas A. Viner. On 29 November 1945, Jimmy Viner and Captain Jackson E. Beighle, U.S. Army, flew a Sikorsky YR-5A to rescue two seamen from an oil barge which was breaking up in a storm off of Fairfield, Connecticut. 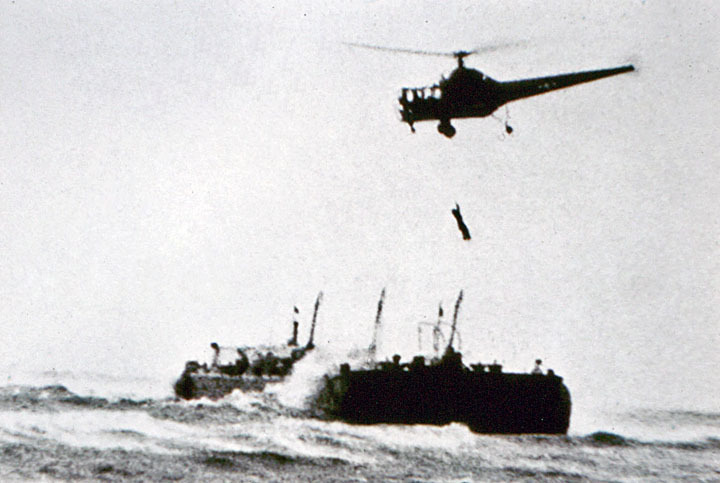 This was the first time that a hoist had been used in an actual rescue at sea. 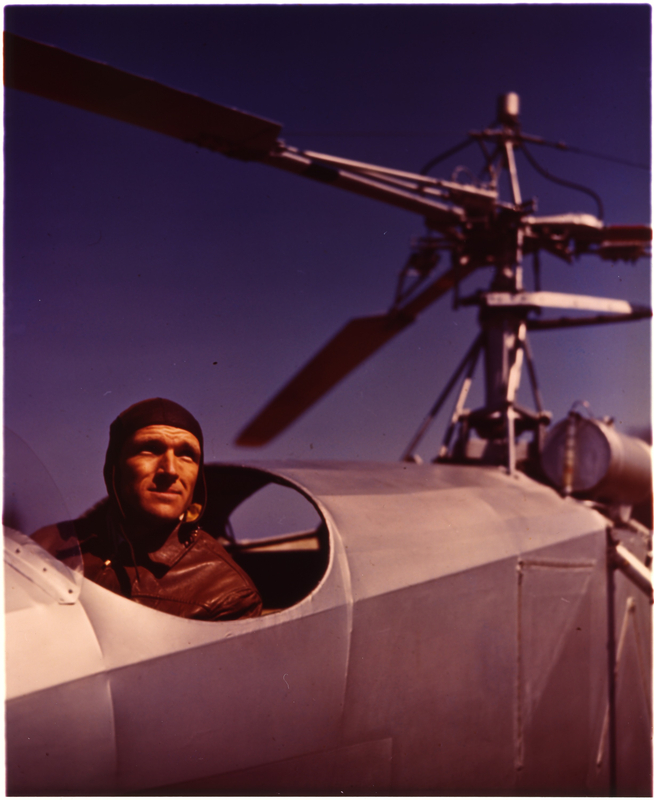 Jimmy Viner made the first flight of the Sikorsky S-51 prototype on 16 February 1946, and in 1947, he became the first pilot to log more than 1,000 flight hours in helicopters. Dimitry Dimitry Viner died at Stratford, Connecticut, 14 June 1998, at the age of 89 years. 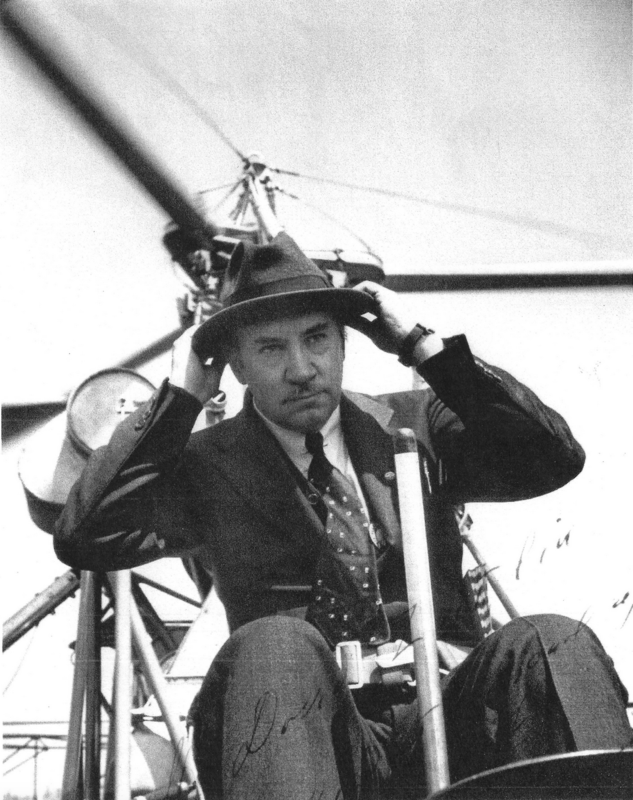 14 September 1939: At Stratford, Connecticut, Igor Sikorsky made the first tethered flight of the Vought-Sikorsky VS-300 prototype helicopter. The duration of the flight was just 10 seconds but demonstrated that the helicopter could be controlled. 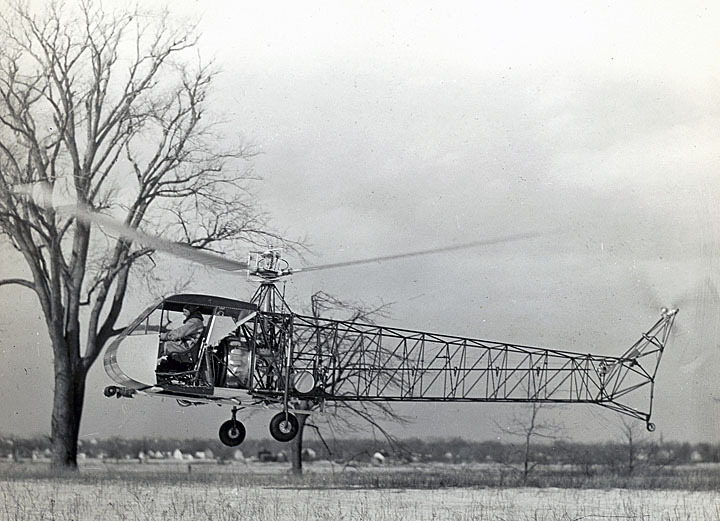 The Vought-Sikorsky VS-300 was the first successful single main rotor, single tail rotor helicopter. 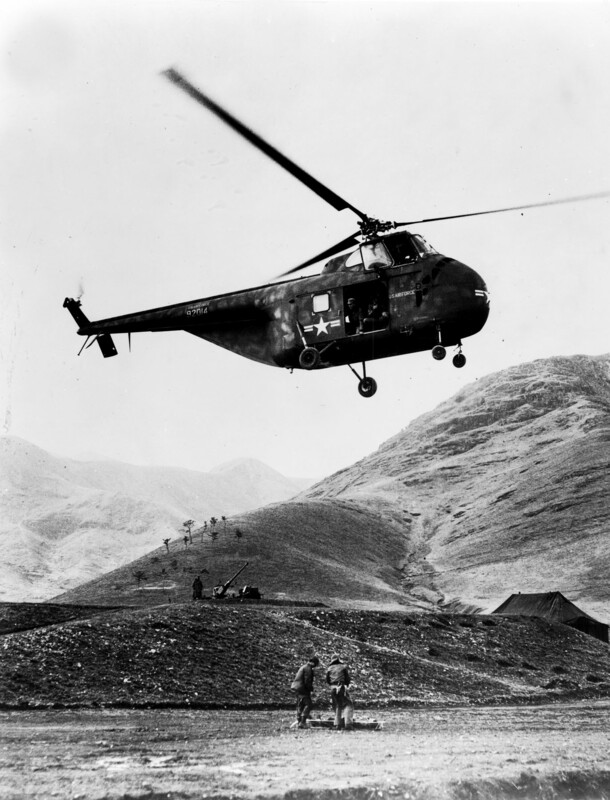 The three-bladed main rotor had a diameter of 28 feet (8.534 meters) and turned approximately 255 r.p.m. The rotor turned clockwise as seen from above (the advancing blade is on the left). This would later be reversed. A counter-weighted single blade anti-torque rotor with a length of 3 feet, 4 inches (1.016 meters) is mounted on the left side of the monocoque beam tail boom in a pusher configuration and turns counter-clockwise as seen from the helicopter’s left (the advancing blade is above the axis of rotation). In the initial configuration, the VS-300 was powered by an air-cooled, normally-aspirated, 144.489-cubic-inch-displacement (2.368 liter) Lycoming O-145-C3 horizontally-opposed, four-cylinder, direct-drive engine with a compression ratio of 6.5:1. It was rated at 75 horsepower at 3,100 r.p.m., using 73-octane gasoline. It was equipped with a single Stromberg carburetor and dual Scintilla magnetos. The dry weight of the O-145-C3 was 167 pounds (75.75 kilograms). Later in the VS-300’s development, the Lycoming was replaced by a 90-horsepower Franklin 4AC-199 engine. On 19 December 1939, the VS-300 was rolled over by a gust of wind and damaged. It was rebuilt, however, and developed through a series of configurations. It made its first free (untethered) flight 13 May 1940. Test flights continued for several years. After 102 hours, 32 minutes, 26 seconds of flight, the VS-300 was donated to the Henry Ford Museum, Dearborn, Michigan.